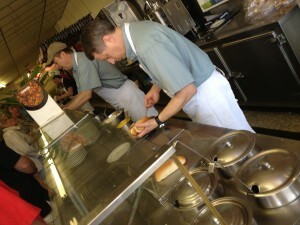 Last week, Dr. Elder chose two restaurants for us to eat at for lunch. He chose two different hot dog places that have been in Sioux City for a long time. We ate at the Milwaukee Wiener House and Coney Island. They were similar in many ways, but each one brought its own uniqueness to the table. First up was the Milwaukee Wiener House. I hadn’t heard of it until it made the local news recently because they will be relocating due to the construction of the Hard Rock Casino. It is a small building about a block and a half away from the Tyson Event Center. We brought a large group to what seemed a small building, but they were more than able to accommodate us. I looked for what could be considered a spicy food on the item and chose a hot dog with mustard and sauerkraut, but also got two hot dogs on one bun with onions and mustard and chili. They had plenty of hot dogs cooking on the grill and the assembly line worked quickly to put the toppings on our hot dogs, while also being extremely friendly to us even though they were busy. I found the sauerkraut mixed with the onions, mustard, and chili to be a little spicy, but overall my meal was very good and I still had plenty of room in my stomach for round 2 at Coney Island. We then continued our journey a couple blocks away to Coney Island. We got there a little bit before the rest of our class did, so we starting talking to the couple that owned the restaurant. They told us all about the family members that went to Morningside and made us feel welcome to be in their establishment. I looked at their menu and attempted to mimic what I got at Milwaukee Wiener House, so I ordered the hot dog with sauerkraut and mustard, but replaced the other hot dog with onion chips. We took up mostly all the seating in the building, but it was fine because we were also the only people in there. The hot dog and onion chips tasted great and I finished the day with a full stomach. I am definitely not fit to be competitively eating hot dogs like Joey Chestnut. I enjoyed eating at both restaurants. 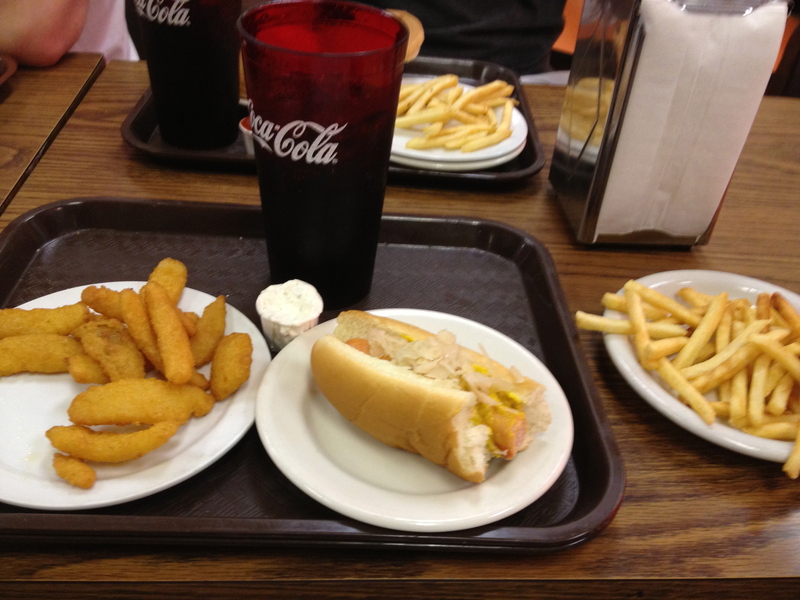 Although they had many similarities, it was easy for me to have a preference of the Milwaukee Wiener House between the two based on the following categories: seating, menu, quality of food. Seating: Both places had adequate seating for a large group of people such as our class, but Milwaukee Wiener House was able to host a larger number of people outside our group. 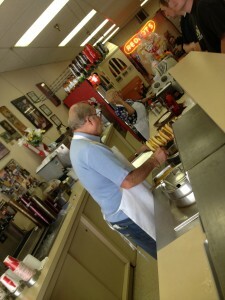 Menu: Both restaurants had a nice selection for different styles of serving the hot dogs. Coney Island offered specialty items like the onion chips, french fries, chicken patty, and cheeseburgers, which was nice to have, but the wiener house had ice cream, which was a big hit with our class. The prices were about equal at both places and both were inexpensive. Quality of Food: The food was delicious at both restaurants. The hot dogs were the same size and included the same ingredients on top. The onion chips were fresh when I got them at Coney Island and they tasted great with the french onion dip. 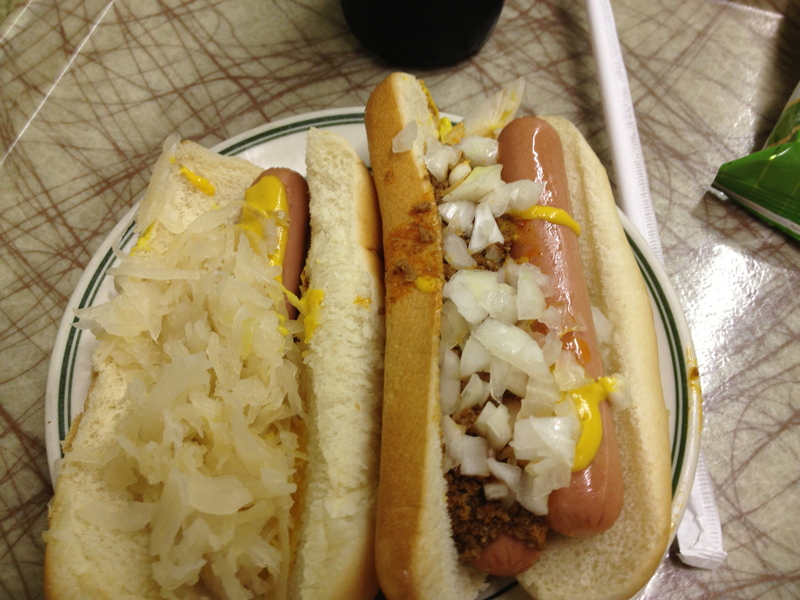 I’d say the difference maker for me was that that Milwaukee Wiener House served me hot sauerkraut on top, while Coney Island served cold sauerkraut. I was a big fan of the hot sauerkraut.